When you get a cut on your finger what do you do? 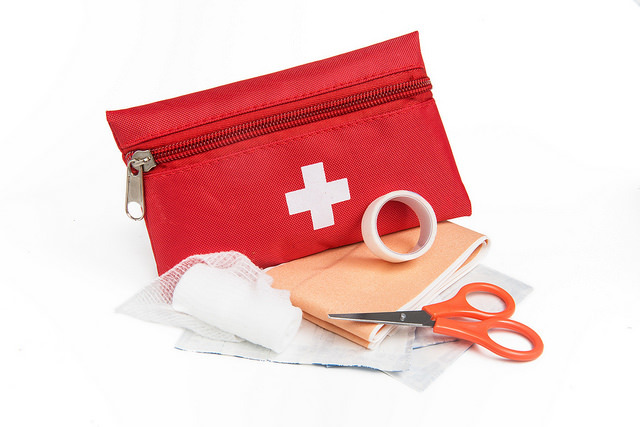 The first thing most people do is say “ouch.” After that they seek first aid. First, they wash the cut with soap and water. Then they put antibiotic ointment and a bandage on it. Have you ever stopped to think why people do this? The antibiotic ointment fights off the bad germs. The bandage keeps new germs and dirt from getting it. This helps the cut to heal quickly. It helps keep it from getting infected. Each one of us has been wounded and hurt by sin. Sometimes it hurts just as bad as a cut finger. The Bible promises that Jesus will heal us. It also promises to protect us from further infection. How do we stay protected? By maintaining a close relationship with Jesus. When we don’t stay close to Jesus every day, we are more easily hurt when others make fun of us or insult us and more prone to worry or anger. When we spend time with Jesus every day by praying and reading the Bible, we are filled with his love. We are sure that we are loved and we can withstand being made fun of or insulted. We are much less likely to worry or get angry because we know Jesus is in control of everything. When we know deep in our heart Jesus cares about even a small cut, that assurance protects us like a bandage. It does not mean we will never feel pain again, we still live in a sinful world until Jesus returns and makes all things new. Even a cut hurts sometimes under a bandage while it is healing. We can take comfort by remembering that Jesus has feelings too. He hates it when his children suffer. Matthew 10:29 encourages us with the knowledge that even the sparrows are under God’s watch. It should also remind us that Jesus is hurt when we ignore him. He is our close friend and wants to spend time with us daily. You know that feeling when a bandage is ripped off? I think that is kind of how Jesus feels when we put other things in place of him. On the other hand, when we accept him as our friend and Savior, when we renew that relationship by spending time with him and show our faith in him, Jesus is pleased (see key verse). How can we spend meaningful time with Jesus? Be specific. How do you build a real friendship? Do you do the same thing when building a relationship with Jesus? Do you know you are loved? How?